My house is one full of technology. We have televisions, smartphones, gaming systems, tablets and computers. I love all things tech but when it comes to my girls I try and be careful about limiting it all. With so much tech we have several pairs of headphones. We have a set for each girl in each car a set for them in the house and then they each have to take a pair to school. That means we have gone through a lot of headphones over the years. Some of the best ones we have used are from BuddyPhones. 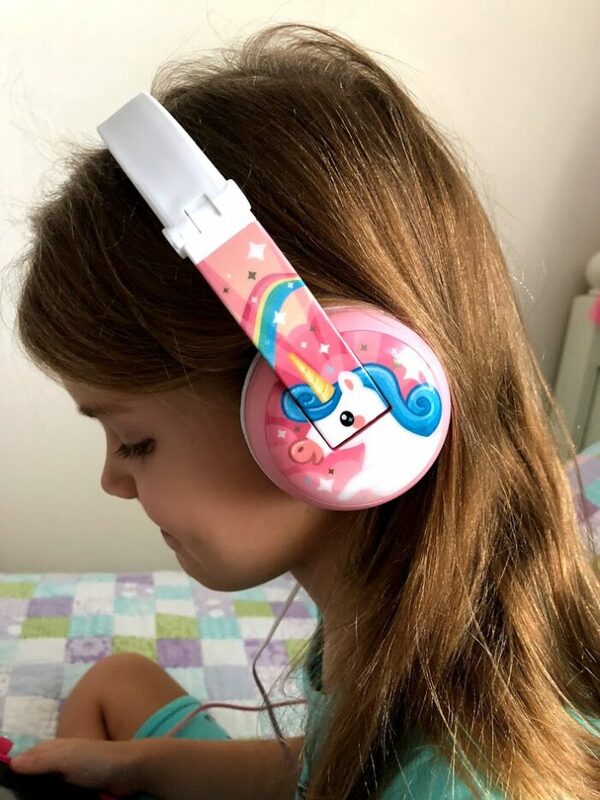 Their NEW wireless & waterproof headphones for kids are their best ones yet! 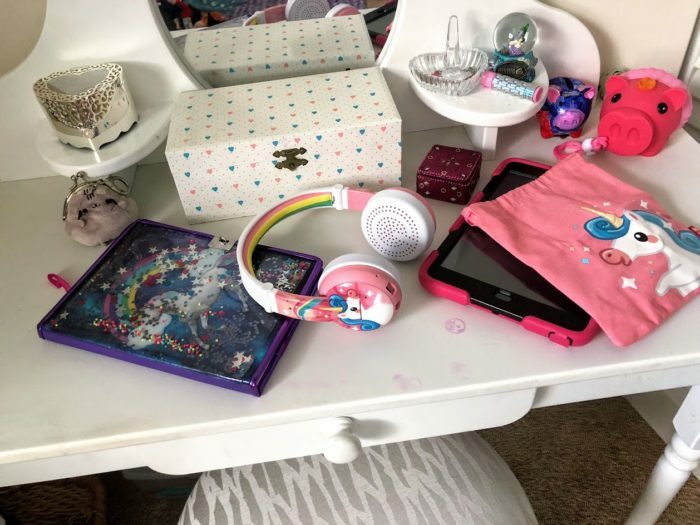 I have 3 girls so I basically live in a world of rainbows and magical unicorns so they are of course thrilled to see the hot trend towards all things Unicorn?? this year (if I am really honest I am loving it as well). 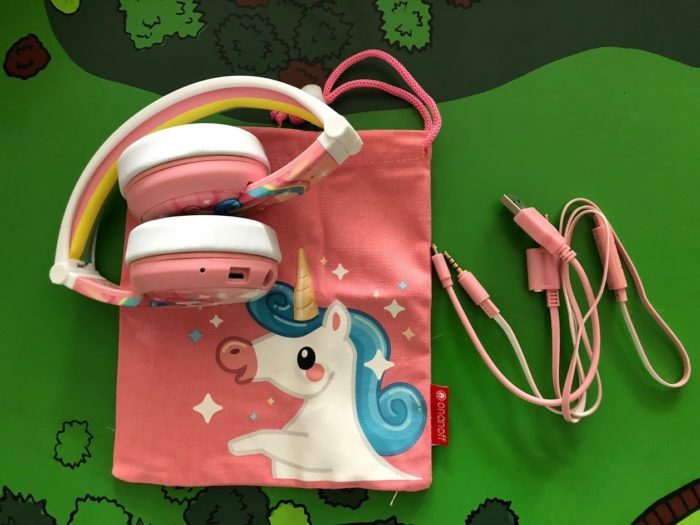 The new BuddyPhones WAVE comes in an amazing unicorn design along with 3 other cool designs that kids will enjoy. 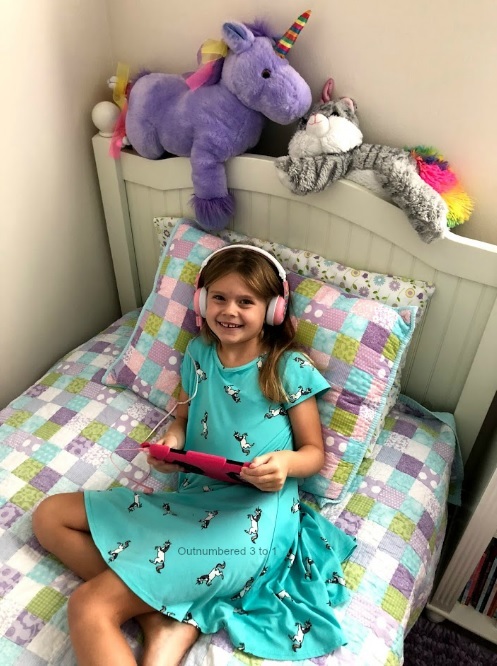 The BuddyPhones WAVE is extremely durable, fully adjustable to different sizes, and the headbands are fitted with pillow-soft hypoallergenic ear cushions to fit snugly and comfortably even on kids with sensitive skin. For ages 3+ these fit my 6 and my 9 year old comfortably. BuddyPhones WAVE is also fully waterproof, so it can be brought in water without a worry. Even spilled milk or juice won?t harm the WAVE thanks to waterproof protection. 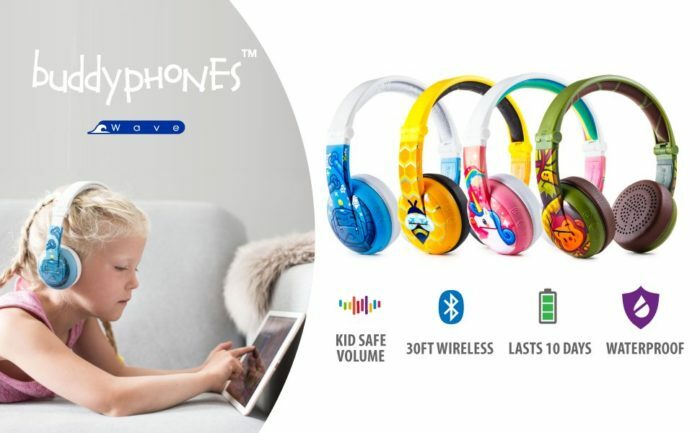 Four listening modes are available, including Toddler Mode/75Db, Kids Mode/ 85Db, Travel Mode/94Db, or the Study Mode/94Db). That means you can control how loud they can play sound making it great for younger kids that don’t understand that too loud can permanently hurt hearing. It can be used wireless using Bluetooth with quick and easy pairing to your device. It also includes an impressive 24 hr. battery life once fully charged but you can always plug it in and use it with a cord as well…especially if your kids forget to charge it like mine do. 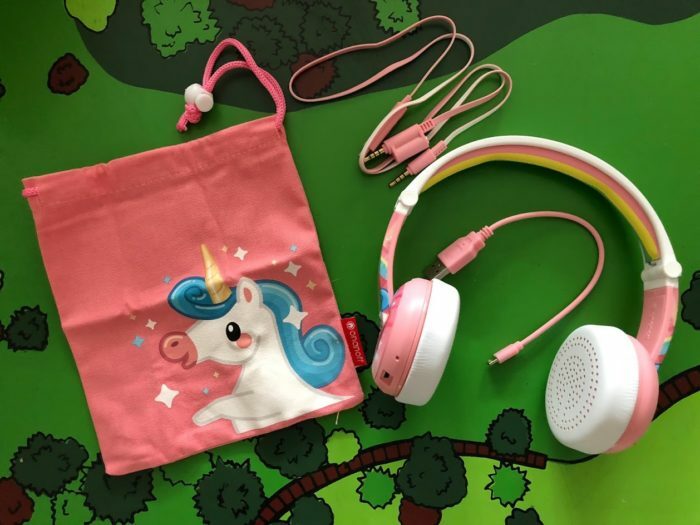 Adorably placed on both sides of the earphone cushions is a beautiful white unicorn! I don’t know if it is possible to get any cuter than this! Lil Sis got the privilege of keeping these for herself and they are the first ones she likes to grab when she is allowed to use her tablet. 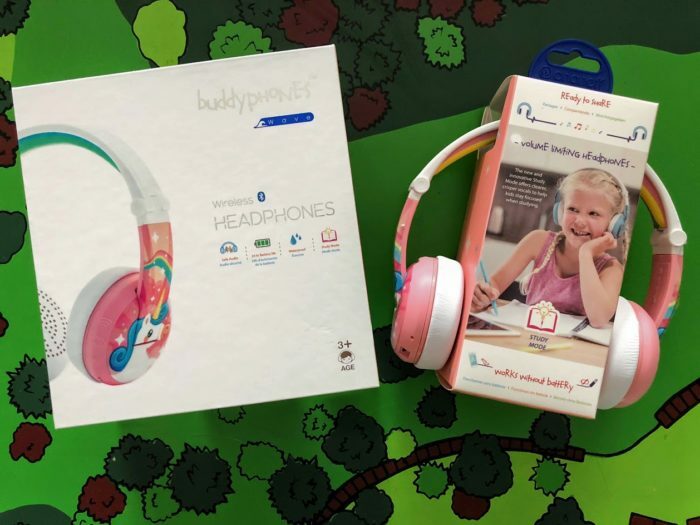 With all these added features the BuddyPhones WAVE wireless and waterproof headphones for kids are truly some of the best headphones I have ever seen. 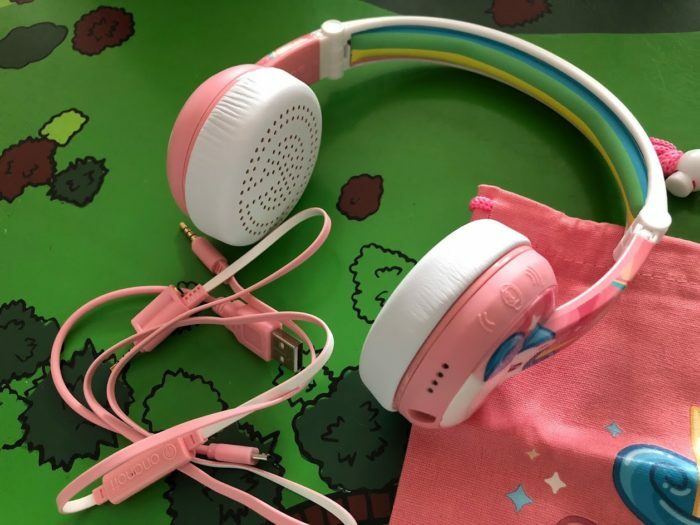 Adorable, safe sound levels and built kid tough make these great headphones for kids to use when enjoying their tech. 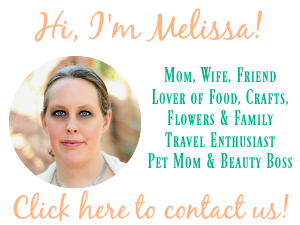 Connect: You can connect with BuddyPhones on Facebook, Instagram and Twitter. these are really cute! And the charge lasts 10 days?! And waterproof! I remember my grandson ruined a pair he had because they got wet, so this definitely sounds appealing! What a cute design! Seems like good quality and perfect for children!